UK-based Silverlining Rights has picked up a fast-turnaround doc that explores the influence of US president Donald Trump’s eldest daughter. Ivanka Trump: America’s Real First Lady? 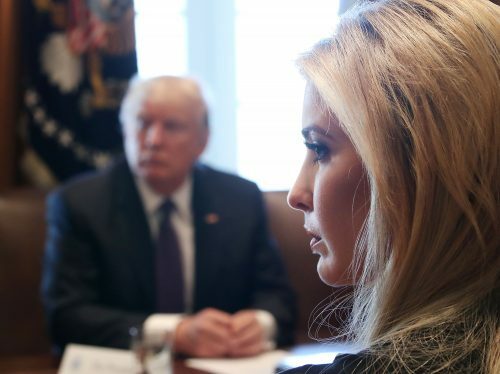 (1 x 60′) has been produced by the UK’s ITN Productions for Channel 4 and asks if Ivanka is now the most powerful woman in the world. The show premiered on C4 yesterday and the distributor has already secured pre-sales from undisclosed channels in Australia, Norway, Denmark, Austria, Belgium, Poland, Spain the Netherlands and Canada. Ian Russell, ITN Productions’ head of international programmes, said: “Time is critical with programmes of this nature and ITN Productions excels in producing high-quality shows with exclusive content under pressure”. Bethan Corney, joint MD of Silverlining Rights, added: “International buyers have a real appetite for well-produced and entertaining topical docs at the moment and one is proving to be particularly popular – finding homes in both current affairs and primetime slots in the schedules”. Silverlining also sells ITN Productions docs including “The Mad World of Donald Trump” (1×60′) and “President Trump: Can He Really Win?” (1×60′).